As the price of crypto-currencies continue to fall and countless token values hit zero, it’s important to focus on the innovation taking place behind the scenes. In the first half of this one-day program, we will not only explore the fundamental principles of data storage and network effects, but will also look at how distributed ledgers are evolving. From layer two solutions and the introduction of new consensus protocols to the evolution of tokens and how they have outgrown their utility as security assets and stablecoins take centre stage. In the second half of the day we will take a closer look at use-cases that are benefiting from blockchains by exploring the business processes involved in implementing these new and emerging technologies. 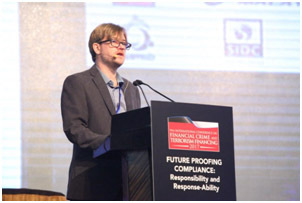 The session starts by providing a visualized guided tour that not only introduces the concept of alternative money but also explores the fundamental concepts of BIG data, IoT and Artificial Intelligence, which help to explore the notion of network topologies and how they are being used or have been affected by the financial service industry. This session introduces the components powering blockchain technology in a systematic way that covers consensus mechanisms and other cryptographic topics such as keys, hashing and encryption - doing so in a way that is accessible to a non-technical audience. We do this by exploring the economic principles of the most popular cryptocurrencies whilst taking a hands-on approach to constructing raw transactions. This session moves beyond the confines of digital currency based ledgers onto broader topics such as open assets and distributed file systems. We do this by analysing some of the most popular use cases, such as trade finance and escrow - taking a much closer look at how these components can be combined to create new secondary markets. This session provides a detailed look at smart contracts - what they are, where they came from and how they grew in popularity. From alternative methods of funding through to tokenization, we explore the fundamental terminology of these new programmable contracts, for which we will also introduce how they can be applied to Islamic finance. 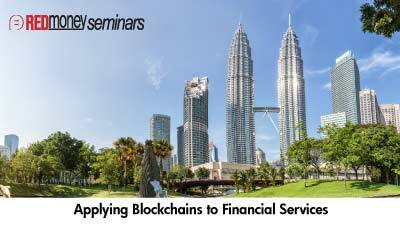 From smart Sukuk to decentralized Takaful models and automated Wakalah. Each of our training sessions includes access to our cloud based learning management system. The R1 LMS provides written, audio and video transcripts of the course content, which is continuously updated each day as the industry evolves. Mark Smalley has been living in Malaysia for the past 20 years, from where he has been building FinTech applications for the past 15 years. He currently serves as the founder & CEO of R1 DOT MY Sdn Bhd, a technology solutions provider incorporated in Malaysia in 2012, from where it has been consulting with several organizations and startups to help implement and adopt new technologies such as NoSQL storage and distributed ledgers. Neuroware is the brand name for R1 DOT MY’s blockchain and distributed ledger technology solutions. It was first established when the company was selected to join Batch 9 of the illustrious 500 Startups accelerator program in Silicon Valley at the beginning of 2014. It was during his time there in the USA that Venturebeat declared Neuroware as one of the 5 most promising startups to watch from the Batch 9 demo day pitches that took place at Microsoft. With keynotes being conducted at TEDx Kuching, the Islamic Financial News Asia and International Digital Economy Conference of Sarawak (IDECS), Mark has an insatiable passion to spread new ideas, which has included regular appearances on BFM and more recently being featured in the DNA Digerati 50 alongside other founders from Catcha & Grab. 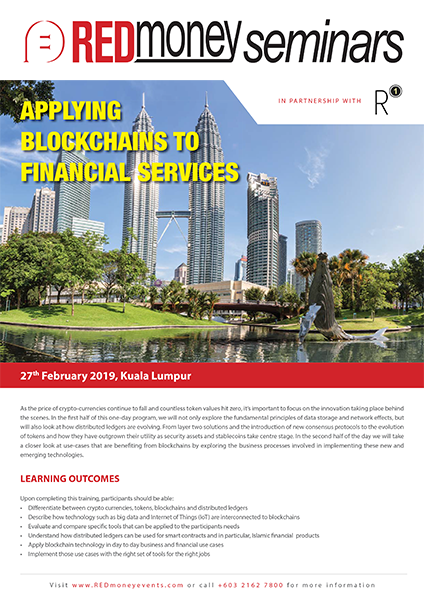 His extensive training sessions and technical workshops have been adopted by a number of large organizations through active partnerships with REDmoney and iTrain - through to direct sessions with Labuan Financial Services Authority, Hong Leong Bank Berhad, Cybersecurity Malaysia, Axiata and many more. 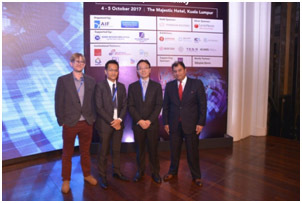 Mark has led Neuroware to not only be featured on several occasions as one of Malaysia’s top-ten FinTech companies, but with extensive coverage at various international events has also gotten Neuroware featured by Deloitte as one of the world’s top 50 regtech companies - the only one specifically based within Malaysia. This work also led to an extensive week long training with Baker Hostetler in The United States.